For Milton Keynes, the original village, see Middleton, Milton Keynes. Top to bottom, left to right: The Xscape and Theatre seen from Campbell Park, former railway works and new housing in Wolverton, Milton Keynes Central railway station, the Central Milton Keynes skyline, The Church of Christ the Cornerstone and Bletchley's high street "Queensway"
Milton Keynes (/kiːnz/ ( listen) KEENZ), locally abbreviated to MK, is a large town[b] in Buckinghamshire, England, about 50 miles (80 km) north-west of London. It is the principal settlement of the Borough of Milton Keynes, a unitary authority. At the 2011 Census, its population was 229,000; the Office for National Statistics estimates that it will reach 300,000 by 2025. The River Great Ouse forms its northern boundary; a tributary, the River Ouzel meanders through its linear parks and balancing lakes. Approximately 25% of the urban area is parkland or woodland and includes an SSI. In the 1960s, the UK Government decided that a further generation of new towns in the South East of England was needed to relieve housing congestion in London. The New Town (in planning documents, "New City") of Milton Keynes was to be the biggest yet, with a target population of 250,000, in a "designated area" of about 22,000 acres (9,000 ha). At designation, its area incorporated the existing towns of Bletchley, Wolverton, and Stony Stratford, along with another fifteen villages and farmland in between. These settlements had an extensive historical record since the Norman conquest; detailed archaeological investigations prior to development revealed evidence of human occupation from the neolithic age to modern times, including in particular the Milton Keynes Hoard of Bronze Age gold jewellery. The government established a Development Corporation (MKDC) to design and deliver this New City. The Corporation decided on a softer, more human-scaled landscape than in the earlier new towns but with an emphatically modernist architecture. Recognising how traditional towns and cities had become choked in traffic, they established a 'relaxed' grid of distributor roads about 1 kilometre (0.62 mi) between edges, leaving the spaces between to develop more organically. An extensive network of shared paths for leisure cyclists and pedestrians criss-crosses through and between them. Again rejecting the residential tower blocks that had been so recently fashionable but unloved, they set a height limit of three stories outside the planned centre. Facilities include a 1,400 seat theatre, an art gallery, multiplex cinemas, a 400 seat concert hall, a teaching hospital, a 30,500 seat football stadium and a 65,000 capacity open-air concert venue. There are five railway stations (one inter-city). The Open University is based here and there is a campus of the University of Bedfordshire. Most sports are represented at amateur level; Red Bull Racing (Formula One), MK Dons (association football) and Milton Keynes Lightning (ice hockey) are its professional teams. The Peace Pagoda overlooking Willen Lake was the first such to be built in Europe. Milton Keynes has one of the more successful economies in the UK, ranked highly on a number of criteria. As one of the UK's top five fastest growing centres, it has benefited consistently from above-average economic growth. It has the fifth highest number of business startups per capita (but equally of business failures). It is home to several major national and international companies. However, despite this economic success and personal wealth for some, there are pockets of nationally significant poverty. ✪ Bletchley driving test route. Milton Keynes No 5. 1.1 Birth of a "New City"
2.5 "City in the forest"
In the 1960s, the UK Government decided that a further generation of new towns in the South East of England was needed to relieve housing congestion in London. Since the 1950s, overspill housing for several London boroughs had been constructed in Bletchley. Further studies in the 1960s identified north Buckinghamshire as a possible site for a large new town, a new city,[c] encompassing the existing towns of Bletchley, Stony Stratford and Wolverton. The New Town (informally and in planning documents, "New City") was to be the biggest yet, with a target population of 250,000, in a "designated area" of 21,883 acres (8,855.7 ha) The name "Milton Keynes" was taken from that of an existing village on the site. On 23 January 1967, when the formal new town designation order was made, the area to be developed was largely farmland and undeveloped villages. The site was deliberately located equidistant from London, Birmingham, Leicester, Oxford and Cambridge, with the intention that it would be self-sustaining and eventually become a major regional centre in its own right. Planning control was taken from elected local authorities and delegated to the Milton Keynes Development Corporation (MKDC). Before construction began, every area was subject to detailed archaeological investigation: doing so has exposed a rich history of human settlement since Neolithic times and has provided a unique insight into the history of a large sample of the landscape of North Buckinghamshire. The Corporation's strongly modernist designs were regularly featured in the magazines Architectural Design and the Architects' Journal. MKDC was determined to learn from the mistakes made in the earlier New Towns, and revisit the Garden City ideals. They set in place the characteristic grid roads that run between districts ('grid squares'), as well as the intensive planting, lakes and parkland that are so evident today. Central Milton Keynes ("CMK") was not intended to be a traditional town centre but a central business and shopping district to supplement Local Centres in most of the grid squares. This non-hierarchical devolved city plan was a departure from the English New Towns tradition and envisaged a wide range of industry and diversity of housing styles and tenures across the city. The largest and almost the last of the British New Towns, Milton Keynes has 'stood the test of time far better than most, and has proved flexible and adaptable'. The radical grid plan was inspired by the work of Californian urban theorist Melvin M. Webber, described by the founding architect of Milton Keynes, Derek Walker, as the "father of the city". Webber thought that telecommunications meant that the old idea of a city as a concentric cluster was out of date and that cities which enabled people to travel around them readily would be the thing of the future achieving "community without propinquity" for residents. The Government wound up MKDC in 1992, 25 years after the new town was founded, transferring control to the Commission for New Towns (CNT) and then finally to English Partnerships, with the planning function returning to local council control (since 1974 and the Local Government Act 1972, the Borough of Milton Keynes). From 2004–2011 a Government quango, the Milton Keynes Partnership, had development control powers to accelerate the growth of Milton Keynes. Along with many other towns and boroughs, Milton Keynes competed (unsuccessfully) for formal city status in the 2000, 2002 and 2012 competitions. The area that was to become Milton Keynes encompassed a landscape that has a rich historic legacy. The area to be developed was largely farmland and undeveloped villages, but with evidence of permanent settlement dating back to the Bronze Age. Before construction began, every area was subject to detailed archaeological investigation: doing so has provided a unique insight into the history of a large sample of the landscape of south-central England. There is evidence of Stone Age, late Bronze Age/early Iron Age, Romano-British, Anglo-Saxon, Anglo-Norman, Medieval and Industrial revolution settlements. Bletchley Park, the site of World War II Allied code-breaking and Colossus, the world's first programmable electronic digital computer, is a major component of MK's modern history. It is now a flourishing heritage attraction, receiving hundreds of thousands of visitors annually. The concepts that heavily influenced the design of the town are described in detail in article urban planning – see 'cells' under Planning and aesthetics (referring to grid squares). See also article single-use zoning. Since the radical plan form and large scale of Milton Keynes attracted international attention, early phases of development include work by celebrated architects, including Sir Richard MacCormac, Lord Norman Foster, Henning Larsen, Ralph Erskine, John Winter, and Martin Richardson. Led by Lord Campbell of Eskan (Chairman) and Fred Roche (General Manager), the Corporation attracted talented young architects led by the young and charismatic Derek Walker. In the modernist Miesian tradition is the Shopping Building designed by Stuart Mosscrop and Christopher Woodward, a grade II listed building, which the Twentieth Century Society inter alia regards as the 'most distinguished' twentieth century retail building in Britain. The Development Corporation also led an ambitious Public art programme. The urban design has not been universally praised, however. In 1980, the then president of the Royal Town Planning Institute, Francis Tibbalds, described Central Milton Keynes as "bland, rigid, sterile, and totally boring." The geography of Milton Keynes – the railway line, Watling Street, Grand Union Canal, M1 motorway – sets up a very strong north-south axis. If you've got to build a city between (them), it is very natural to take a pen and draw the rungs of a ladder. Ten miles by six is the size of this city – 22,000 acres. Do you lay it out like an American city, rigid orthogonal from side to side? Being more sensitive in 1966-7, the designers decided that the grid concept should apply but should be a lazy grid following the flow of land, its valleys, its ebbs and flows. That would be nicer to look at, more economical and efficient to build, and would sit more beautifully as a landscape intervention. The Milton Keynes Development Corporation planned the major road layout according to street hierarchy principles, using a grid pattern of approximately 1 km (0.62 mi) intervals, rather than on the more conventional radial pattern found in older settlements. Major distributor roads run between communities, rather than through them: these distributor roads are known locally as grid roads and the spaces between them – the districts – are known as grid squares. This spacing was chosen so that people would always be within six minutes walking distance of a grid-road bus-stop. Consequently, each grid square is a semi-autonomous community, making a unique collective of 100 clearly identifiable neighbourhoods within the overall urban environment. [d] The grid squares have a variety of development styles, ranging from conventional urban development and industrial parks to original rural and modern urban and suburban developments. Most grid squares have Local Centres, intended as local retail hubs and many have community facilities as well; each of the original villages is the heart of its own grid-square. Originally intended under the master plan to sit alongside the Grid Roads, the Local Centres were mostly in fact built embedded in the communities. Although the 1970 Master Plan assumed cross-road junctions, roundabout junctions were built at intersections because this type of junction is more efficient at dealing with small to medium volumes. Some major roads are dual carriageway, the others are single carriageway. Along one side of each single carriageway grid road, there is usually a (grassed) reservation to permit dualling or additional transport infrastructure at a later date. [e] As of 2018[update], this has been limited to some dualling. The edges of each grid square are landscaped and densely planted – some additionally have noise attenuation mounds – to minimise traffic noise from the adjacent grid road. Traffic movements are fast, with relatively little congestion since there are alternative routes to any particular destination other than during peak periods. The national speed limit applies on the grid roads, although lower speed limits have been introduced on some stretches to reduce accident rates. Pedestrians rarely need to cross grid roads at grade, as underpasses and bridges were specified at frequent places along each stretch of all of the grid roads. However, the new districts planned by English Partnerships have departed from this model, with less separation and use 'at grade' crossings. There is a separate network (approximately 270 kilometres or 170 miles total length) of cycle and pedestrian routes – the redways – that runs through the grid-squares and often runs alongside the grid-road network. This was designed to segregate slow moving cycle and pedestrian traffic from fast moving motor traffic. In practice, it is mainly used for leisure cycling rather than commuting, perhaps because the cycle routes are shared with pedestrians, cross the grid-roads via bridge or underpass rather than at grade, and because some take meandering scenic routes rather than straight lines. It is so called because it is generally surfaced with red tarmac. The national Sustrans national cycle network routes 6 and 51 take advantage of this system. The flood plains of the Great Ouse and of its tributaries (the Ouzel and some brooks) have been protected as linear parks that run right through Milton Keynes; these were identified as important landscape and flood-management assets from the outset. At 1,650 ha (4,100 acres) – a third larger than Richmond Park and ten times larger than London's Hyde Park – the landscape architects realised that the Royal Parks model would not be appropriate or affordable and drew on their National Park experience. As Bendixson and Platt (1992) write: "They divided the Ouzel Valley into 'strings, beads and settings'. The 'strings' are well-maintained routes, be they for walking, bicycling or riding; the 'beads' are sports centres, lakeside cafes and other activity areas; the 'settings' are self-managed land-uses such as woods, riding paddocks, a golf-course[h] and a farm". The Grand Union Canal is another green route (and demonstrates the level geography of the area – there is just one minor lock in its entire 10-mile (16 km) meandering route through from the southern boundary near Fenny Stratford to the "Iron Trunk" Aqueduct over the Ouse at Wolverton at its northern boundary). The initial park system was planned by landscape architect Peter Youngman, who also developed landscape precepts for all development areas: groups of grid squares were to be planted with different selections of trees and shrubs to give them distinct identities. However, the detailed planning and landscape design of parks and of the grid roads was evolved under the leadership of Neil Higson, who from 1977 took over as Chief Landscape Architect and made the original grand but not entirely practical landscape plan more subtle. The Development Corporation's original design concept aimed for a "forest city" and its foresters planted millions of trees from its own nursery in Newlands in the following years. Parks, lakes and green spaces cover about 25% of Milton Keynes; as of 2018[update], there are 22 million trees and shrubs in public open spaces. When the Development Corporation was being wound up, it transferred the major parks, lakes, river-banks and grid-road margins to the Parks Trust, a charity which is independent of the municipal authority. MKDC endowed the Parks Trust with a portfolio of commercial properties, the income from which pays for the upkeep of the green spaces. As of 2018[update], approximately 25% of the urban area is parkland or woodland and includes an SSI. The open-air National Bowl is a 65,000-capacity venue for large-scale events. In Wavendon, the Stables – founded by jazz artists Cleo Laine and John Dankworth – provides a venue for jazz, blues, folk, rock, classical, pop and world music. It presents around 400 concerts and over 200 educational events each year and also hosts the National Youth Music Camps summer camp for young musicians. In 2010, the Stables founded the biennial IF Milton Keynes International Festival, producing events in unconventional spaces and places across Milton Keynes. Milton Keynes City Orchestra is a professional freelance orchestra based at Woughton Campus. The adjacent 1,400 seat Milton Keynes Theatre opened in 1999. The theatre has an unusual feature: the ceiling can be lowered closing off the third tier (gallery) to create a more intimate space for smaller-scale productions. There is a further professional performance space in Stantonbury. There are three museums: the Bletchley Park complex, which houses the museum of wartime cryptography; the National Museum of Computing (beside Bletchley Park, separately entrance), which includes a working replica of the Colossus computer; and the Milton Keynes Museum, which includes the Stacey Hill Collection of rural life that existed before the foundation of MK. the British Telecom collection, and the original Concrete Cows. Liz Leyh's iconic "Concrete Cows"
Public sculpture in Milton Keynes includes work by Elisabeth Frink, Philip Jackson, Nicolas Moreton and Ronald Rae. The Open University's headquarters are in the Walton Hall district; though because this is a distance learning institution, the only students resident on campus are approximately 200 full-time postgraduates. Cranfield University, an all-postgraduate institution, is in nearby Cranfield, Bedfordshire. Milton Keynes College provides further education up to foundation degree level. University Campus Milton Keynes, a campus of the University of Bedfordshire, provides some tertiary education facilities locally. Milton Keynes is currently the UK's largest population centre without its own conventional university, a shortfall that the Council aims to rectify. In January 2019, the Council and its partner, Cranfield University, invited proposals to design a campus near the Central station for a new university. Like most parts of the UK, the state secondary schools in Milton Keynes are comprehensives, although schools in the rest of Buckinghamshire still use the tripartite system. Private schools are also available. Milton Keynes City Discovery Centre at Bradwell Abbey holds an extensive archive about the planning and development of Milton Keynes and has an associated research library. The Centre also offers an education programme (with a focus on urban geography and local history) to schools, universities and professionals. The responsible local government is Milton Keynes Council, which controls the Borough of Milton Keynes, a Unitary Authority. The Borough of Milton Keynes is fully parished. The urban parishes (and the districts they contain) are listed at Borough of Milton Keynes (urban area). Milton Keynes University Hospital, in the Eaglestone district, is an NHS general hospital with an Accident and Emergency unit. It is associated for medical teaching purposes with the University of Buckingham medical school. There are two small private hospitals: BMI Healthcare's Saxon Clinic and Ramsay Health Care's Blakelands Hospital. Milton Keynes has two commercial radio stations, Heart Four Counties, and MKFM. BBC Three Counties Radio is the local BBC Radio station. CRMK (Community Radio Milton Keynes) is a voluntary station broadcasting on the Internet. For television, the area is allocated to BBC East and Anglia ITV. Milton Keynes is home to several national and international companies, notably Argos, Domino's Pizza, Marshall Amplification, Mercedes-Benz, Suzuki, Volkswagen AG, Red Bull Racing, Network Rail, and Yamaha Kemble. Santander UK and the Open University are major employers locally. Milton Keynes has professional teams in football (Milton Keynes Dons F.C. at Stadium MK), in ice hockey (Milton Keynes Lightning at Planet Ice Milton Keynes), and in Formula One (Red Bull Racing). Milton Keynes is also home to the Xscape indoor ski slope, the iFLY indoor sky diving facility, and the National Badminton Centre. As a key element of the planners' vision, Milton Keynes has a purpose built centre, with a very large "covered high street" shopping centre, a theatre, municipal art gallery, a multiplex cinema, hotels, central business district, an ecumenical church, Borough Council offices and central railway station. Near the central station, in a space beside the former Milton Keynes central bus station, there a purpose-built covered "urban skateboarding" arena. There is a high security prison, HMP Woodhill, on the western boundary. Willen Lake hosts watersports on the south basin, and the north basin is a bird sanctuary. Howe Park Wood, a Site of Special Scientific Interest near Westcroft and Tattenhoe, is the most significant of a number of important wildlife sites in and around MK. There are two multiplex cinemas (one in CMK, one in Denbigh) and one art-house cinema. During the Second World War, British, Polish and American cryptographers at Bletchley Park broke a large number of Axis codes and ciphers, including the German Enigma machine. Milton Keynes consists of many pre-existing towns and villages, as well as new infill developments. The designated area outside the four main towns (Bletchley, Newport Pagnell, Stony Stratford, Wolverton) was largely rural farmland but included many picturesque North Buckinghamshire villages and hamlets: Bradwell village and its Abbey, Broughton, Caldecotte, Fenny Stratford, Great Linford, Loughton, Milton Keynes Village, New Bradwell, Shenley Brook End, Shenley Church End, Simpson, Stantonbury, Tattenhoe, Tongwell, Walton, Water Eaton, Wavendon, Willen, Great and Little Woolstone, Woughton on the Green. These historical settlements were made the focal points of their respective grid square. Every other district has an historical antecedent, if only in original farms or even field names. Bletchley was first recorded in the 12th century as Blechelai. Its station was an important junction (the London and North Western Railway with the Oxford-Cambridge Varsity Line), leading to the substantial urban growth in the town in the Victorian period. It expanded to absorb the villages of Water Eaton and Fenny Stratford. Bradwell is a traditional rural village with earthworks of a Norman motte and bailey and parish church. There is a YHA hostel beside the church. Bradwell Abbey, a former Benedictine Priory and Scheduled Ancient Monument, was of major economic importance in this area of North Buckinghamshire before its dissolution in 1524. Nowadays there is only a small medieval chapel and a manor house occupying the site. New Bradwell, to the north of Bradwell and east of Wolverton, was built specifically for railway workers. The level bed of the old Wolverton to Newport Pagnell Line near here has been converted to a redway, making it a favoured route for cycling. A working windmill is sited on a hill outside the village. Great Linford appears in the Domesday Book as Linforde, and features a church dedicated to Saint Andrew, dating from 1215. Today, the outer buildings of the 17th century manor house form an arts centre. Milton Keynes (Village) is the original village to which the New Town owes its name. The original village is still evident, with a pleasant thatched pub, village hall, church and traditional housing. The area around the village has reverted to its 11th century name of Middleton (Middeltone). The oldest surviving domestic building in the area (c. 1300 CE), "perhaps the manor house", is here. Stony Stratford began as a settlement on Watling Street during the Roman occupation, beside the ford over the Great Ouse. There has been a market here since 1194 (by charter of King Richard I). The former Rose and Crown Inn on the High Street is reputedly the last place the Princes in the Tower were seen alive. The manor house of Walton village, Walton Hall, is the headquarters of the Open University and the tiny parish church (deconsecrated) is in its grounds. The tiny Parish Church (1680) at Willen was designed by the architect and physicist Robert Hooke. Nearby, there is a Buddhist Temple and a Peace Pagoda, which was built in 1980 and was the first built by the Nipponzan-Myōhōji Buddhist Order in the western world. The original Wolverton was a medieval settlement just north and west of today's town. The ridge and furrow pattern of agriculture can still be seen in the nearby fields. The 12th century (rebuilt in 1819) 'Church of the Holy Trinity' still stands next to the Norman motte and bailey site. Modern Wolverton was a 19th-century New Town built to house the workers at the Wolverton railway works, which built engines and carriages for the London and North Western Railway. Among the smaller villages and hamlets are three – Broughton, Loughton and Woughton (on the Green) – that are notable in that their names each use a different pronunciation of the ough letter sequence in English. At the 2011 census, the population of the Milton Keynes urban area, including the adjacent Newport Pagnell and Woburn Sands, was 229,941. The population of the Borough in total was 248,800, compared with a population of around 53,000 for the same area in 1961. In 2016, the Office for National Statistics estimated that it will reach 300,000 by 2025. Data on the economy, demography and politics of Milton Keynes are collected at the Borough level and are detailed at Economy of the Borough and Demographics of the Borough. Milton Keynes is one of the most successful economies in the UK, ranked third (by gross value added per worker) for its contribution to the national economy. With 99.4% SMEs, just 0.6% of businesses locally employ more than 250 people. Of the remaining enterprises, 81.5% employ fewer than 10 people. The 'professional, scientific and technical sector' contributes the largest number of business units, 16.7%. The retail sector is the largest contributor of employment. Milton Keynes has one of the highest number of business start-ups in England, but also of failures. Although Education, Health and Public Administration are important contributors to employment, the contribution is significantly less than in England or the South East as a whole. The average age of the population is lower than is typical for the UK's 63 primary urban areas: 25.3% of the Borough population is aged under 18 (5th place) and 13.4% are aged 65+ (57th out of 63). Contributing to its vitality, 18.5% of residents were born outside the UK (11th). In 2015, the Borough of Milton Keynes had nine 'lower super output areas'[j] that are in the 10% most deprived in England, but also had twelve 'lower super output areas' are in the 10% least deprived in England. This contrast between areas of affluence and areas of deprivation in spite of a thriving local economy, inspired local charity The Community Foundation (in its 2016 'Vital Signs' report) to describe the position as a 'Tale of Two Cities'. In 2018, the number of homeless young people sleeping rough in tents around CMK attracted national headlines as it became the apex of a national problem of poverty, inadequate mental health care and unaffordable housing. On a visit to refurbishment and extension work on the YMCA building, Housing Minister Heather Wheeler declared that 'Nobody in this day and age should be sleeping on the street'. The Grand Union Canal, the A5 road and the M1 motorway provides the major axes that influenced the urban designers. Milton Keynes has six railway stations. Milton Keynes Central is served by inter-city services. Wolverton, Milton Keynes Central and Bletchley stations are on the West Coast Main Line and are served by local commuter services. Fenny Stratford and Bow Brickhill are on the Marston Vale Line. Woburn Sands railway station, also on the Marston Vale line, is in the small town of Woburn Sands just inside the urban area. The M1 motorway runs along the east flank of MK and serves it from junctions 13, 14 and 15. The A5 road runs right through it as a grade separated dual carriageway. Other main roads are the A509 to Wellingborough and Kettering, and the A421 and A422, both running west towards Buckingham and east towards Bedford. Proximity to the M1 has led to construction of a number of distribution centres, including Magna Park at the A421/A5130 junction. Many long-distance coaches stop at the Milton Keynes coachway, (beside M1 Junction 14), some 3.3 miles (5.3 km) from the centre (or 4 mi or 6.4 km from Milton Keynes Central railway station). There is also a park and ride car park on the site. Regional coaches stop at Milton Keynes Central. Milton Keynes is served by (and provides part of) routes 6 and 51 on the National Cycle Network. The nearest international airport is London Luton and is easily reached by coach. Cranfield Airport, an airfield, is 8 miles (13 km) away. "a portion of more or less dissected boulder clay plateau, with streams falling fairly steeply to the [Great] Ouse and Ouzel flood plains, across slopes cut chiefly in Oxford clay. Middle Jurassic rocks, in particular the Blisworth limestone and cornbrash, form strong features in the lands bordering the Ouse valley in the north". Its highest points are in the centre (110 m (360 ft)) and at Woodhill on the western boundary (120 m (390 ft)). The lowest point of the urban area is in Newport Pagnell, where the Ouzel joins the Great Ouse. (50 m (160 ft)). The nearest larger[k] towns are Northampton, Bedford, Luton and Dunstable, and Aylesbury. The nearest larger[l] cities are Coventry, Leicester, Cambridge, London and Oxford. The nearest Met Office weather station is in Woburn, located in a rural area just outside the south eastern fringe of Milton Keynes. Christopher B-Lynch, (visiting) Professor of Obstetrics and Gynaecology at Cranfield University, responsible for inventing the eponymously named B-Lynch suture which is used to treat post-partum haemorrhage due to uterine atony worked at Milton Keynes General Hospital. Andrew Baggaley, English table tennis champion. Errol Barnett, an anchor and correspondent for CNN is from Milton Keynes. He lived in Crownhill and attended Holmwood First School and Two Mile Ash Middle School before moving to the US. Emily Bergl, an actress known for her roles in Desperate Housewives and Shameless. Bergl was born in Milton Keynes, to an Irish mother and an English architect father. Adam Ficek, drummer of London band Babyshambles. Lee Hasdell, professional Mixed martial artist and Kickboxer. Jim Marshall (1923–2012), founder and CEO of Marshall Amplification was living in and ran his business from Milton Keynes when he died. Gordon Moakes, the bassist for the London-based rock band Bloc Party. Clare Nasir, the meteorologist, TV and radio personality, was born in Milton Keynes in 1970. Sarah Pinborough, English horror writer. Ian Poulter, PGA & European Tour golf professional. Member of the 2010 and 2012 European Ryder Cup Teams. Greg Rutherford, long jump gold medallist for Team GB at the 2012 Olympic Games. Alan P. F. Sell (1935–2016), academic and theologian lived in the town in his later years and died there. Ed Slater, professional rugby player. Jack Trevor Story, novelist, was a long-term resident of Milton Keynes. Sam Tomkins, professional rugby league player. Alan Turing (1912–1954), played a significant role in the creation of the modern computer. He lodged at the Crown Inn, Shenley Brook End, while working at Bletchley Park. Nat Wei, Baron Wei, member of the House of Lords. Dan Wheldon (1978–2011), Indy car driver. Pete Winkelman, Chairman of Milton Keynes Dons Football Club, owner of Linford Manor recording studios, long term resident. Capdown, the ska punk band, came from and formed in Milton Keynes in 1997. Hacktivist, the Grime, djent band formed in 2011. ^ From Milton Keynes Bowl to Marble Arch via Watling Street is 45 miles (72 km). By rail from Milton Keynes Central to Euston is 49 miles 65 chains (49.81 mi; 80.17 km). From Central Milton Keynes to Charing Cross via the M1 motorway is 55 miles (89 km). 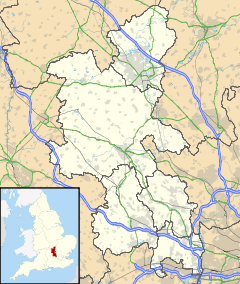 ^ Although Milton Keynes was specified to be a city in scale and the term "city" is used locally (inter alia to avoid confusion with its constituent towns), formally this title cannot be used. This is because conferment of city status in the United Kingdom is a Royal prerogative. It is considerably larger than the nearby cities of Oxford, Cambridge and St Albans. ^ Large-scale buildings include Jurys Inn (10 stories) The Pinnacle:MK on Midsummer Boulevard (9 stories) and the Vizion development on Avebury Boulevard (12 stories). ^ The more recent Network Rail National Centre has been built at the western limit of Silbury Boulevard near the Central station; this building complex occupies a large land area but only rises to the equivalent of six storeys. ^ A competing paper, MK News, closed in October 2016. ^ a b "Milton Keynes BUA Built-up area: Local Area Report (2011 Census)". ONS. Retrieved 29 March 2019. ^ a b "Engineer's Line References". RailwayCodes.org. 28 July 2018. Retrieved 15 February 2019. ^ a b "Central Milton Keynes to Charing Cross". Google Maps. Retrieved 15 February 2019. ^ Bendixson & Platt 1992, p. 265. ^ "Bletchley Pioneers, Planning, & Progress". Clutch.open.ac.uk. Retrieved 23 November 2012. ^ "Early days of overspill". Clutch.open.ac.uk. Retrieved 23 November 2012. ^ Llewellyn-Davies et al. 1970, p. xi. ^ a b Llewellyn-Davies et al. 1970, p. 8. ^ Llewellyn-Davies et al. 1970, p. 4. ^ a b ""North Buckinghamshire (Milton Keynes) New Town (Designation) Order", London Gazette, 24 January 1967, page 827". London Gazette. Retrieved 14 January 2014. .
^ a b Llewellyn-Davies et al. 1970, p. 3. ^ Llewellyn-Davies; Forestier-Walker; Bor (December 1968). Milton Keynes: Interim Report to Milton Keynes Development Corporation. Milton Keynes Development Corporation. ^ Llewellyn-Davies et al. 1970, p. xii. ^ a b Bendixson & Platt 1992, p. 107. ^ Bendixson & Platt 1992, p. 1, 47. ^ Clapson 2014, p. 3. ^ Bendixson & Platt 1992, p. xii. ^ a b Llewellyn-Davies et al. 1970, p. 33. ^ Llewellyn-Davies et al. 1970, p. 14. ^ Bendixson & Platt 1992, p. 46. ^ "MILTON KEYNES PARTNERSHIP COMMITTEE ROLE AND REMIT". Milton Keynes Council. 7 September 2005. Retrieved 18 February 2019. ^ "This is not a city: Milton Keynes". The Open University. Retrieved 17 February 2019. ^ Needham, S (2002). "Milton Keynes, Buckinghamshire: Bronze Age gold hoard of two torcs and three bracelets in a pot" (PDF). Treasure Annual Report 2000. Department of Culture, Media and Sport. pp. 13–15. Archived from the original (PDF) on 1 March 2012. Retrieved 26 July 2010. ^ "The Milton Keynes Hoard". British Museum. Archived from the original on 15 April 2013. Retrieved 29 July 2007. ^ "Archaeology in the Milton Keynes District: Stone Age". Milton Keynes Heritage Association. Retrieved 3 January 2007. ^ "Archaeology in the Milton Keynes District: Bronze Age". Milton Keynes Heritage Association. Retrieved 3 January 2007. ^ "Object 2234: "Gold stater ('Gallo-Belgic A' type) Roman, mid-2nd century BC Probably made in northern France or Belgium; found at Fenny Stratford near Milton Keynes, England"". British Museum. Retrieved 10 September 2009. ^ "Archaeology in the Milton Keynes District: archaeological sites and artefacts found at Bancroft and Blue Bridge, part of the old farmland of Stacey Hill Farm, now Milton Keynes Museum". Milton Keynes Heritage Association. Retrieved 3 January 2007. ^ "Newport hundred: Introduction". Victoria History of the Counties of England. Retrieved 22 September 2009. ^ Copeland 2006, Introduction p. 2. ^ "Bletchley Park welcomes 2015's 200,000th visitor". Bletchley Park. 26 August 2015. Retrieved 25 January 2017. ^ Bendixsson & Platt 1992, p. 273. ^ a b "Milton Keynes at 50: Success town has 'nothing to be ashamed of'". BBC. 1 January 2017. Retrieved 13 February 2019. ^ Melvin, Jeremy (12 August 2014). "Richard MacCormac (1938–2014)". Architectural Review. ^ Hatherley, Owen (2010). A guide to the new ruins of Great Britain (PDF). New York: Verso. p. 60. ISBN 978-1-84467-700-9. ^ "Building of the month: Heelands Housing, Milton Keynes". Twentieth Century Society. January 2008. Retrieved 10 February 2019. ^ Pitcher, Greg (12 March 2018). "A Milton Keynes housing estate designed by Ralph Erskine in the 1970s should be designated a conservation area, a heritage body has urged". The Architects' Journal. ^ Billings, Henrietta (February 2013). "Obituary: John Winter (1930–2012)". Twentieth Century Society. Retrieved 5 February 2019. ^ "1979: Milton Keynes shopping building". The Twentieth Century Society. ^ "Shopping building, Milton Keynes: Grade II listed". English Heritage. ^ "Public Art in MK". Milton Keynes Council. Retrieved 17 February 2019. ^ "Milton Keynes: Who forgot the urban design" (PDF). Archived from the original (PDF) on 3 December 2013. Retrieved 29 November 2013. ^ Llewellyn-Davies et al. 1970, p. 16. ^ Bendixson & Platt 1992, p. 175–178. ^ a b Bendixson & Platt 1992, p. 175. ^ a b c Llewellyn-Davies et al. 1970, p. 36. ^ Bendixson & Platt 1992, p. 177. ^ Bendixson & Platt 1992, p. 170, 171. ^ "Milton Keynes Redways". Destination Milton Keynes. Retrieved 23 January 2018. ^ Bendixson & Platt 1992, p. 178. ^ a b "National cycle route 6". Sustrans. Retrieved 17 February 2019. ^ a b "National cycle route 51". Sustrans. Retrieved 17 February 2019. ^ a b "Milton Keynes high-rise plan revealed". BBC. 5 May 2016. Retrieved 17 February 2019. ^ "Jurys Inn, Milton Keynes (McAleer & Rushe, Design and build)". www.mcaleer-rushe.co.uk. Retrieved 6 February 2019. ^ "The Pinnacle, Milton Keynes – Building #6483". www.skyscrapernews.com. Retrieved 6 February 2019. ^ "Vizion, Milton Keynes – Building #5201". www.skyscrapernews.com. Retrieved 6 February 2019. ^ "The CMK Business Neighbourhood Plan". Central Milton Keynes town council. October 2014. Retrieved 17 February 2019. ^ "Network Rail opens The Quadrant:MK". Railway Gazette. 11 June 2012. ^ a b Llewellyn-Davies et al. 1970, p. 27. ^ a b c Bendixson & Platt 1992, p. 174. ^ "Peter Youngman, Architect of the modern British landscape". The Guardian. 17 June 2005. Retrieved 23 January 2017. ^ Bendixson & Platt 1992, p. 171–174. ^ Pevsner, Nikolaus; Williamson, Dr Elizabeth (11 March 1994). Buckinghamshire (Pevsner Architectural Guides). Yale University Press. ^ a b c "The Parks Trust model". The Milton Keynes Parks Trust. Retrieved 7 March 2012. ^ a b "Parks & Lakes". Destination MK. Retrieved 3 March 2019. ^ Browne, Paige (23 December 2018). "Millions of trees in Milton Keynes to be spruced up in 2019". Milton Keynes Citizen. ^ Bendixson & Platt 1992, p. 259. ^ "Facts and Figures". Milton Keynes Parks Trust. Retrieved 20 February 2019. "The Parks Trust looks after over 6,000 acres of parkland and green space". The urban area measures approximate 30,000 acres. ^ "National Bowl at Milton Keynes, UK – seeking expressions of interest from developers and partners". www.psam.uk.com. PanStadia & Arena Management. 6 August 2013. Retrieved 12 February 2019. ^ "World Class Music and Entertainment". The Stables. Retrieved 23 November 2012. ^ "National Youth Music Camps". The Stables. Retrieved 14 February 2017. ^ "Milton Keynes International Festival 2018". Heart FM. 15 June 2018. Retrieved 26 February 2019. ^ "MK City Orchestra". Destination MK. Retrieved 3 March 2019. ^ "Milton Keynes Gallery". Destination MK. Retrieved 8 February 2019. ^ Williams, Fran (11 March 2019). "MK Gallery by 6a architects to open doors this weekend". The Architects'Journal. Retrieved 11 March 2019. ^ a b Brown, Paige (1 March 2019). "New cinema set to open in Milton Keynes this month". Milton Keynes Citizen. Retrieved 11 March 2019. ^ a b "Milton Keynes Theatre & Art Gallery Complex". Architects' Journal Building Library. 1999. Retrieved 8 February 2019. Includes photographs, drawings and working details. ^ "Stantonbury Theatre". Destination MK. Retrieved 8 February 2019. ^ "Bletchley Park". Destination MK. Retrieved 8 February 2019. ^ "National Museum of Computing". Destination MK. Retrieved 8 February 2019. ^ "MK Museum". Destination MK. Retrieved 8 February 2019. ^ a b "Milton Keynes Arts Centre". Destination MK. Retrieved 8 February 2019. ^ "Westbury Arts Centre". Destination MK. Retrieved 8 February 2019. ^ "Trails, Guides, Walks & Maps: : Arts & Cultural Venues Map (PDF link)<". Milton Keynes Council. Retrieved 9 August 2017. ^ "Project Two: MK:U A new University for Milton Keynes". MK2050 Futures Commission. October 2017. Retrieved 6 February 2019. ^ Fulcher, Merlin (31 January 2019). "Competition: MK:U, Milton Keynes". The Architects' Journal. Retrieved 6 February 2019. ^ "An extremely select spot". The Independent. 27 June 1996. Retrieved 15 February 2019. ^ "Explainer: The history of grammar schools". ITV News. 15 October 2015. Retrieved 17 February 2018. ^ "Independent schools in Milton Keynes - ISC". www.isc.co.uk. Retrieved 18 February 2019. ^ a b "MK City Discovery Centre". Destination Milton Keynes. Retrieved 14 February 2019. ^ "Milton Keynes Council". BBC. Retrieved 15 February 2019. ^ "Parishes and Town Councils in Milton Keynes". Milton Keynes Council. Retrieved 3 March 2019. ^ "Milton Keynes University Hospital NHS Foundation Trust". NHS England. 29 June 2016. Retrieved 4 March 2019. ^ Adams, Richard (8 January 2015). "Private university gets 500 applications for £35,000-a-year medical degree". The Guardian. ^ "BMI The Saxon Clinic". National Health Service. Retrieved 11 February 2019. ^ "Blakelands Hospital". NHS England. 20 February 2017. Retrieved 4 March 2019. ^ "Heart Four Counties". Amazingly Brilliant Pty Ltd. Retrieved 11 February 2019. ^ "MKFM The beat of MK". Amazingly Brilliant Pty Ltd. Retrieved 11 February 2019. ^ "BBC Three Counties Radio". Amazingly Brilliant Pty Ltd. Retrieved 11 February 2019. ^ "Radio for Milton Keynes". CRMK. Retrieved 23 November 2012. ^ "ITV Map ANGLIA micro V9". ITV media. Retrieved 15 February 2019. ^ "Milton Keynes Citizen". Audit Bureau of Circulation. Retrieved 9 February 2019. ^ "Trinity Mirror closes newspapers in Milton Keynes, Luton and Northampton as Local World purge continues". Press Gazette. 19 October 2016. ^ Fast Growth Cities (PDF) (Report). Centre for Cities. ^ "Argos Head Office". J Sainsbury plc. Retrieved 11 February 2019. ^ "Head Office". Domino's Pizza UK. Retrieved 11 February 2019. ^ "Contact us". Marshall Amplification. Retrieved 11 February 2019. ^ "Contact us". Mercedes Benz UK. Retrieved 11 February 2019. ^ "Contact us". Suzuki UK. Retrieved 11 February 2019. ^ "Contact us". Volkswagen Group UK. Retrieved 11 February 2019. ^ "Contact us". Red Bull Racing Group UK. Retrieved 11 February 2019. ^ "NETWORK RAIL'S NEW NATIONAL CENTRE OPENS FOR BUSINESS IN MILTON KEYNES". Network Rail. Retrieved 11 February 2019. ^ "Selected Headquarters in Milton Keynes" (PDF). Invest MK. Archived from the original (PDF) on 22 January 2013. Retrieved 8 January 2013. ^ "How many employees work at the Milton Keynes office?". Santander Group. Retrieved 13 February 2019. (The answer is "about 3,000"). ^ a b "Sports and activities". Destination Milton Keynes. Retrieved 15 February 2019. ^ a b Bendixson & Platt 1992, p. 129–154. ^ "Where to stay". Destination Milton Keynes. Retrieved 15 February 2019. ^ "The Church of Christ the Cornerstone". Baptist Union / Church of England / Methodist Church / Roman Catholic Church / United Reformed Church. Retrieved 15 February 2019. ^ "Milton Keynes Civic Offices". Milton Keynes City Discovery Centre. Retrieved 15 February 2019. ^ "Best practice don't repel the borders". Local Government Chronicle. 19 April 2006. Retrieved 16 February 2019. ^ "Woodhill prison visiting information". Justice.gov.uk. Retrieved 17 February 2019. ^ "WakeMK relaunches with new management". Destination MK. 10 May 2016. Retrieved 17 February 2019. ^ "Willen Lake North". The Parks Trust. Retrieved 17 February 2019. ^ "Wildlife Sites". Milton Keynes Natural History Society. Retrieved 11 March 2019. ^ "Cinema in Milton Keynes". Destination Milton Keynes. Retrieved 11 March 2019. ^ a b c 'Parishes : Bletchley with Fenny Stratford and Water Eaton', Victoria History of the Counties of England: A History of the County of Buckingham: Volume 4 (1927), pp. 274–283. URL: Date accessed: 17 August 2009. ^ a b "Parishes : Bradwell". A History of the County of Buckingham: Volume 4. Victoria History of the Counties of England. 1927. p. 283–288. Retrieved 17 February 2019. ^ Historic England. "Youth Hostel (1159928)". National Heritage List for England. Retrieved 18 February 2019. ^ Historic England. "Details from image database (45807)". Images of England. Retrieved 6 January 2009. ^ "Houses of Benedictine monks: The priory of Bradwell". A History of the County of Buckingham: Volume 1. Victoria History of the Counties of England. 1905. p. 350–352. Retrieved 22 September 2009. ^ Historic England. "Bradwell Abbey: a Benedictine priory, chapel and fishpond (1009540)". National Heritage List for England. Retrieved 17 February 2019. ^ Woodfield 1986, p. 19–24. ^ "rom Railway line to Railway Walk". Milton Keynes Heritage Association. Retrieved 17 February 2019. ^ "Bradwell Windmill". Milton Keynes Museum. Retrieved 17 February 2019. ^ "Parishes : Great Linford". A History of the County of Buckingham: Volume 4. Victoria History of the Counties of England. 1927. p. 387–392. Retrieved 17 February 2019. ^ "Parishes : Milton Keynes". A History of the County of Buckingham: Volume 4. Victoria History of the Counties of England. 1927. p. 401–405. Retrieved 17 February 2019. ^ Woodfield 1986, p. 84. ^ a b "Parishes : Stony Stratford". A History of the County of Buckingham: Volume 4. Victoria History of the Counties of England. 1927. p. 476–482. Retrieved 17 February 2019. ^ Bendixson & Platt 1992, p. 74. ^ "Willen Church". Westminster School. 2007. Retrieved 17 February 2019. ^ Woodfield 1986, p. 165. ^ "Peace Pagoda". Milton Keynes Parks Trust. Retrieved 17 February 2019. ^ a b c "Parishes : Wolverton". A History of the County of Buckingham: Volume 4. Victoria History of the Counties of England. 1927. p. 505–509. Retrieved 17 February 2019. ^ Morice, Dave (2005). "Kickshaws". Butler University. p. 228. Retrieved 4 March 2019. ^ "Census 2011". Office for National Statistics. Retrieved 25 August 2012. ^ Vision of Britain: historic census populations for modern Milton Keynes UA. Accessed 11 October 2006. ^ "Lower Layer Super Output Area". NHS. Retrieved 13 March 2019. ^ "Index of Deprivation". Milton Keynes Council. 30 September 2017. Retrieved 12 March 2019. ^ "Vital Signs Milton Keynes 2016" (PDF). Milton Keynes Community Foundation. 2016. Retrieved 12 March 2019. ^ Goddard, Emily (10 November 2018). "From underpass to underclass: How Milton Keynes became the youth homelessness capital of Britain". The Independent. Retrieved 13 March 2019. ^ Snedker, Karen; McKinney, Jennifer (5 June 2018). "Four myths about homelessness: voices from a tent city". The Conversation. Retrieved 13 March 2019. ^ "Minister for Housing says "Nobody in this day and age should be sleeping on the street"". MKFM. 7 March 2019. Retrieved 13 March 2019. ^ "Magna Park, Milton Keynes". Gazeley.com. Gazeley Limited. Archived from the original on 29 January 2012. Retrieved 15 January 2012. ^ "Services to and from Milton Keynes Coachway, Park & Ride" (PDF). National Express Coaches. Retrieved 23 November 2012. ^ "CMK to Coachway". Google Maps. Retrieved 2 March 2019. ^ "99 Bus Route & Timetable: Milton Keynes - Luton Airport". Stagecoach. Retrieved 2 March 2019. ^ "CMK to Cranfield Airport". Google Maps. Retrieved 2 March 2019. ^ "Labour Market Profile - South East". Office for National Statistics. Retrieved 3 March 2016. ^ "Central Milton Keynes 1:25000 (Ordnance Survey mapping)". Retrieved 3 March 2019. ^ "Woodlhill 1:25000 (Ordnance Survey mapping)". Retrieved 3 March 2019. ^ "Newport Pagnell 1:25000 (Ordnance Survey mapping)". Retrieved 3 March 2019. ^ "Regional scale map of region". Openstreetmap. Retrieved 19 February 2019. ^ "National scale map of region". Openstreetmap. Retrieved 2 March 2019. ^ "Crescendo: Combined rational and renewable energy strategies in cities, for existing and new dwellings and optimal quality of life". Cordis.europe.eu. Retrieved 23 November 2012. ^ "2006 Maximum". Metoffice.gov.uk. Archived from the original on 29 June 2011. Retrieved 3 March 2011. ^ Rogers, Simon (21 December 2010). "2010 minimum". The Guardian. London. Retrieved 3 March 2011. ^ "Climate station map". Met Office. Retrieved 11 February 2019. ^ "Woburn 1981–2010 averages". Met Office. Retrieved 29 November 2012. ^ Osborne, Chris. "MK Dons' Dele Alli has the makings of next Steven Gerrard". BBC Sport. ^ "Awards & Honours – Professor Christopher B-Lynch (GORSL)". cblynch.co.uk. ^ "Andrew Baggaley Biography". Retrieved 11 February 2012. ^ "Sam Baldock Biography". Archived from the original on 7 September 2011. Retrieved 11 February 2012. ^ "Errol Barnett profile at CNN.com". Retrieved 11 February 2012. ^ "Close-up – Movies, Dakota Fanning, Colorado". Chicago Tribune. ^ "Chris Clarke set for Worlds final – Update GB finish 7th". Milton Keynes Citizen. 2 September 2011. Retrieved 11 February 2012. ^ "Adam Ficek profile". BBC. Retrieved 11 February 2012. ^ "James Hildreth – profile". Somerset County Cricket Club. Retrieved 11 February 2012. ^ "Liam Kelly". 11v11,com. Retrieved 19 February 2019. ^ James, Huw (5 April 2012). "Death Is Announced of Jim Marshall". Heart FM. Retrieved 8 April 2012. ^ McLean, Craig (7 January 2007). "21st-century boy". The Guardian. London. Retrieved 12 February 2012. ^ "TV's Clare says Wrap Up for Winter". NHS Milton Keynes. Retrieved 12 February 2012. ^ "Campbell backs Pickering to come good again in 2012". Milton Keynes Citizen. 25 January 2012. Retrieved 12 February 2012. ^ "Sarah Pinborough Interview". omegasapple.com. Retrieved 12 February 2012. ^ "Poulter's back in the swing at Woburn". Milton Keynes Citizen. 29 July 2008. Retrieved 12 February 2012. ^ "MK Dons: Mark Randall signs longer deal". Retrieved 31 July 2014. ^ "Greg Rutherford – Long Jumper". Bucks Sport. Retrieved 12 February 2012. ^ Buck, Courtney (19 November 2014). "The 405 meets Sakima". The 405. Retrieved 7 October 2018. ^ "A tribute to the Revd Professor Alan Sell". The United Reformed Church. ^ Pearey, Alan (10 January 2019). "Gloucester's Ed Slater – a life less ordinary". Rugby World. Retrieved 19 February 2019. ^ "Independent Obituary – Jack Trevor Story". jacktrevorstory.co.uk. Archived from the original on 22 January 2013. Retrieved 12 February 2012. ^ Hudson, Elizabeth (3 February 2012). "Sam Tomkins targets more trophies with Wigan". BBC. Retrieved 12 February 2012. ^ Douglas, Ian (5 August 2011). "Google backs Bletchley Park restoration project". The Daily Telegraph. London. Retrieved 12 February 2012. ^ "Stars race to honour Dan Wheldon in Milton Keynes". BBC. 5 December 2011. Retrieved 12 February 2012. ^ Jackson, Jamie (30 March 2008). "From Wimbledon to Winkelman, a crazy new journey". The Observer. London. Retrieved 9 January 2012. ^ "The Capdown Fansite". Archived from the original on 4 March 2012. Retrieved 12 February 2012. ^ "Fell Silent Milton Keynes Metal Heros". miltonkeynes.com. Archived from the original on 27 November 2010. Retrieved 12 February 2012. Copeland, B. Jack, ed. (2006). Colossus: The Secrets of Bletchley Park's Codebreaking Computers. Oxford: Oxford University Press. ISBN 978-0-19-284055-4. Llewellyn-Davies; Weeks; Forestier-Walker; Bor (1970). The Plan for Milton Keynes, Volume 1. Wavendon: Milton Keynes Development Corporation. ISBN 0-903379-00-7. * Morrison, Kathryn. "'A Maudlin and Monstrous Pile': The Mansion at Bletchley Park, Buckinghamshire" (PDF). English Heritage. Retrieved 24 April 2012. Wikimedia Commons has media related to Milton Keynes. Wikivoyage has a travel guide for Milton Keynes. Urban Design magazine – "Milton Keynes at 40"
Heathcote, Edwin (1 March 2019). "Milton Keynes: curio from the past or model for the future?". Financial Times. London.